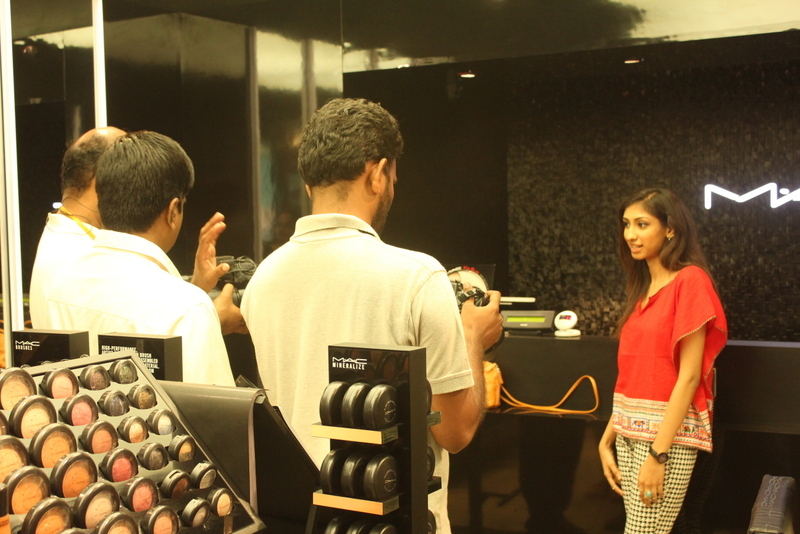 Last month I was invited by InOrbit mall, along with a couple of other bloggers, to take part in a fun challenge. InOrbit is one mall where you’ll find all your favorite brands under one roof, making it easy to put together a whole head-to-toe outfit. Since almost every store and brand had launched their monsoon collection, we were given a task of putting together a whole new Monsoon Look based on a theme of our choice. 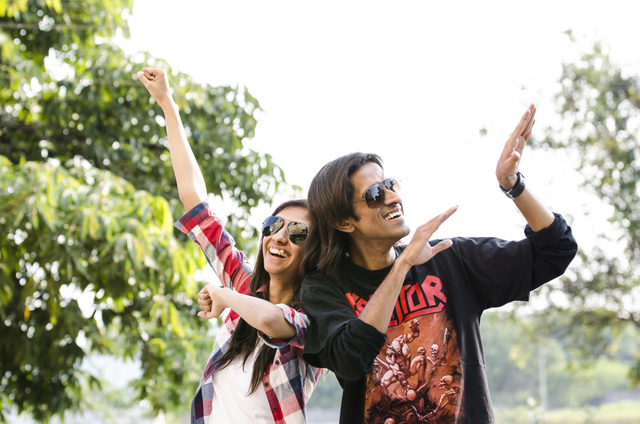 The slight twist was that we were given a budget of Rs.5000 and a limited time of an hour and a half only! I’ve always been a fast shopper and decision maker so I was pretty confident that I would finish way before the time limit. But it’s just not that easy, specially when you have the camera crew following you everywhere, filming your every move, and throwing questions at you right in the middle of deciding between between a high-low dress or printed pants. Tough decisions eh?Nonetheless it was really fun to have met some other cool bloggers Swati (The Rickrack project) and Sangeeta(The Lipstick Addict), and to have been dashing in and out of stores with a camera guy in tow, much to the amusement of other shoppers! 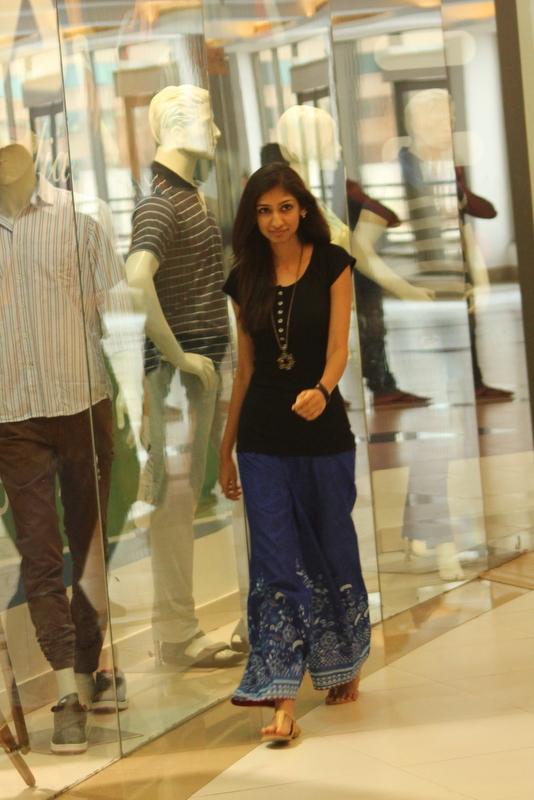 For me monsoons are all about going bright on colors and light on accessories. 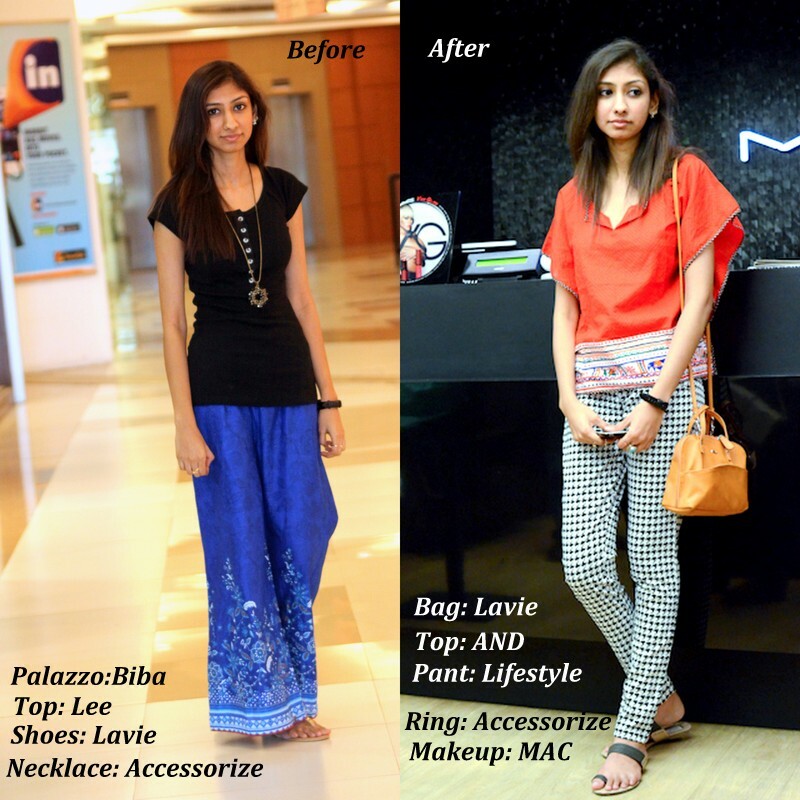 So I decided to go for a boho-casual look by keeping it very simple. After a lot of hunting in Max, Globus, Lifestyle, Chemistry and other stores, I finally picked a bright red kaftan top from AND. To let the color of the top stand out, I picked a monochrome houndstooth print pant from Lifestyle (which was one size bigger but I got it altered now). Finished the look with simple charcoal grey sandals from Shopper’s Stop and a big turquoise statement ring and silver midi rings from Accessorize. P.S.I loved the way Swati designed her outfit. Both her palazzos and crop top(which she didn't opt for finally)were so pretty! I love the shoes she went for in the final look too! And your pants are pure love! That is such a unique and challenging experience. I can never shop a complete outfit in an hour but you seem to do a great job. It was one of the first events conducted in Hyderabad too! Am usually a fast shopper but yea its tough!